Chilly Gonzales, the Grammy-winning Canadian pianist and entertainer, is known as much for the intimate piano touch of best-selling albums Solo Piano I and Solo Piano II as for his showmanship and composition for award-winning stars. Gonzo, as he is known to close collaborators, aims to be a man of his time, approaching the piano with classical and jazz training but with the attitude of a rapper. 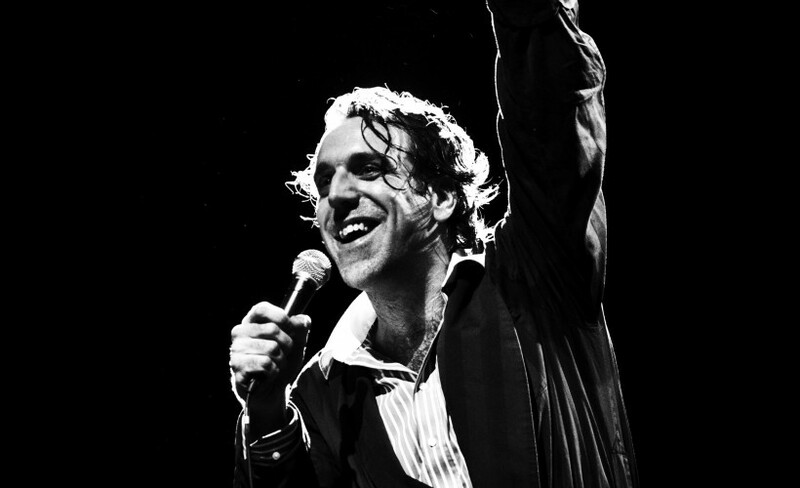 Chilly Gonzales holds the Guinness world record for the longest solo concert at over 27 hours. He performs and writes songs with Jarvis Cocker, Feist and Drake, among others. The show sees the return of Chilly Gonzales to the stage with an intimate hour of pieces from the Solo Piano album cycle, following the recent release of Solo Piano III, after which he is joined by Stella Le Page on cello and Joe Flory on drums to perform hits and hidden surprises from the rest of his repertoire, interspersed with his unique playful explanations about how music works. How to book: E:access@barbican.org.uk T:020 7382 7389/7083Discounts available Inductions loops. Guide Dogs welcome Can also loan wheelchairs. Adapted unisex toilets on stalls level. All floors served by lifts, Hall seating is over 3 levels. The rear of the Stalls and the rear of the circle are the most accessible. Hand rails on one side of steps. A more suitable accessible entrance available. The Barbican is clearly sign-posted and has four car parks. Two are off Beech Street (westbound access only) and two are off Silk Street near the main entrance. Please allow plenty of time for your journey. All car parks have a height restriction of 6'1\". If the Barbican car parks are full, alternative parking is available in Aldersgate Street. The main cloakroom on the Stalls floor is open from 5:15pm until 30 minutes after the event on performance days. Opening hours can vary depending on our event programme. Alternative cloakroom facilities are also available at the art gallery on level 3 during exhibition hours. For your comfort and safety all large bags and packages are required to be deposited in our cloakrooms before taking your seat.